Bingara is nestled in the Gwydir River valley on the western edge of the New England Tablelands. It is in the geographic region known as the North West Slopes, and it is “conveniently central”. 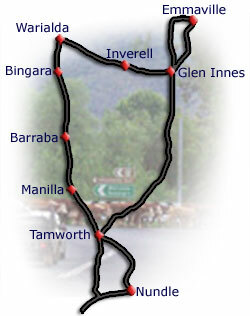 Bingara is central within its Region, surrounded by larger towns, Inverell, Armidale, Tamworth, Gunnedah, Narrabri and Moree, and nearly midway between the major east coast capitals, Brisbane and Sydney. View Maps to plan how you will get here and where you can go when you do. 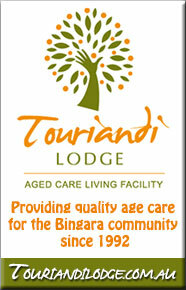 Bingara’s current population is around 1300. It has remained at or about that population for more than 100 years. A flourishing of activities in the late 1920’s to the late 1930’s saw the town population reach 1500 for a decade. Of particular note was 1936, when the Roxy Theatre, the doubling in size of Fay’s Department Store and the Regent Theatre were testament to the building boom years between the World Wars. Today Bingara is at the dawn of another exciting period. Tourism, education, regional conferencing and a move towards regenerative agriculture have seen the town become busier, and visionary. Projects such as the restoration of the Roxy Theatre and Café, the Hospitality Trade Training Centre adjoining them and The Living Classroom, have spurred on the investment in retail businesses and an increasing demand for housing. Timelessly meandering through the town is the Gwydir River, “the Big River” to the early settlers, and ‘Kooma’ to the Goomeroi (Kamilaroi) people who have lived there since the Dreamtime. The “River” provides much of the beauty and the recreation for locals and visitors. Fishing, boating, swimming, canoeing, even horse riding in the sparkling waters are activities to be enjoyed by all.